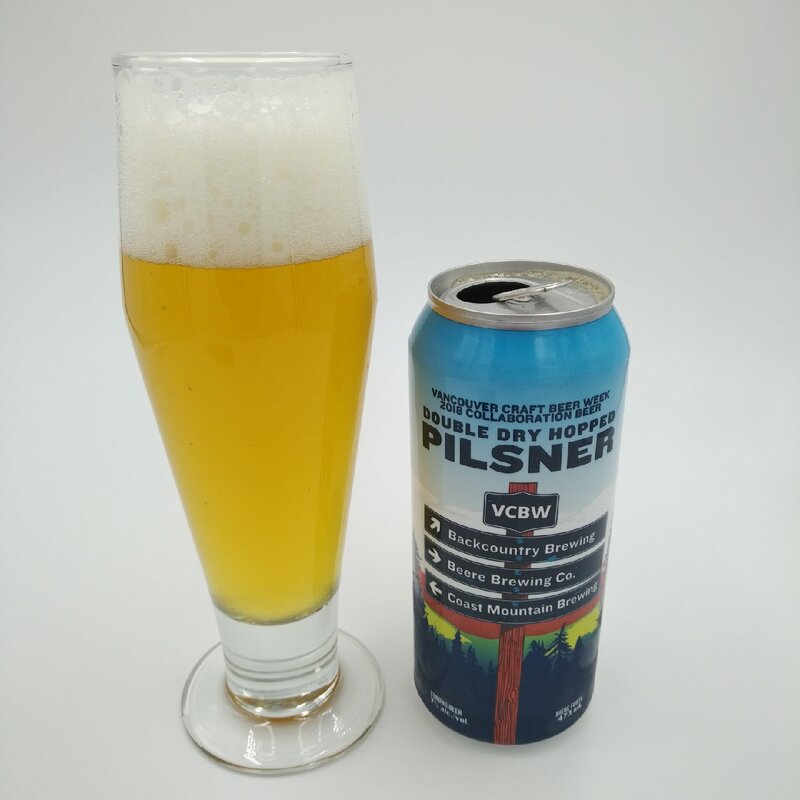 The Official 2018 Vancouver Craft Beer Week collaboration beer was brewed at Backcountry Brewing in Squamish in collaboration with Beere Brewing in North Vancouver and Coast Mountain Brewing in Whistler. This years beer was the “Double Dry Hopped Pilsner”. The beer pours a copper colour with a white head but this is not a super clear pilsner. The aroma consists of floral hops, citrus, grassy notes and grain. The flavour is of citrus, citrus rind, grassy hops, grain, mild resin and low bitterness. With the amount of hops in this brew this is almost an India Pale Lager. The alcohol content comes in at 7%. While I am not a huge pilsner fan this one is definitely not a standard pilsner. Make sure to try this brew out before it is gone. 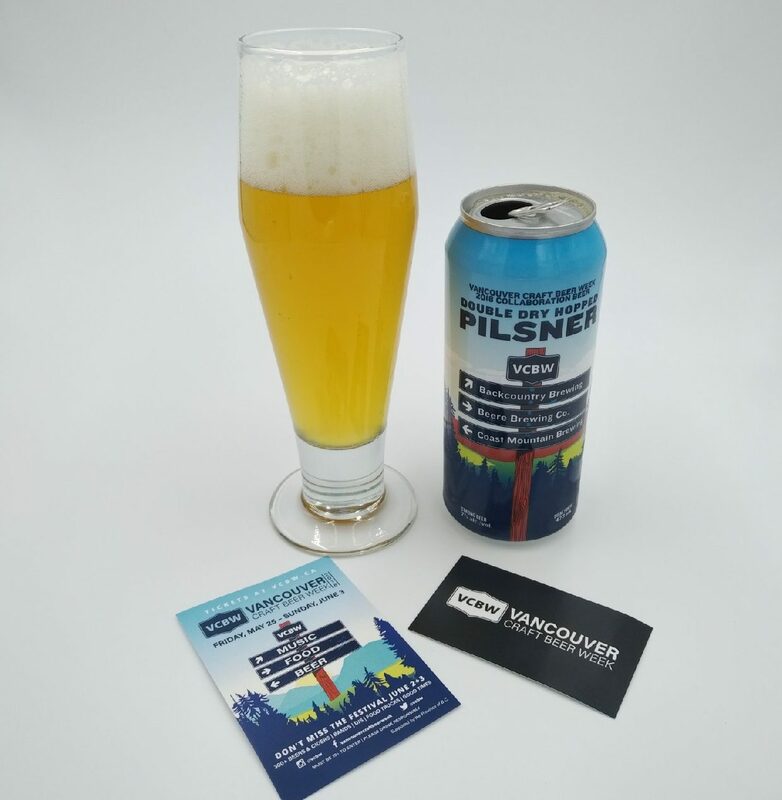 Commercial Description: Three new breweries along this epic stretch of highway got together and brewed one wicked pilsner to commemorate the biggest craft beer celebration on the West Coast, Vancouver Craft Beer Week. With a higher ABV (7%alcohol) and a copious amount of Citra, Mosaic, Vic Secret and Enigma hops, this beer is sure to live up to the reputation of the breweries that created it: Backcountry, Beere and Coast Mountain. The 2018 VCBW Collab is scheduled to be released Mid-May, approximately one week prior to Vancouver Craft Beer Week 2018’s Kickoff on May 25, and will be available in 4 packs of 473mL at select private liquor and beer stores, and on draught at select tasting rooms and bars/restaurants. Partial proceeds will be donated to Eastside Boxing Club’s Self Defence Series for female-identified, and all members of the LGBTTIQQ2S community. Episode 53 – Vancouver Craft Beer Week is here!